Cape York is truly one of Australia’s last frontiers and we’re extremely fortunate so much of it is accessible by motorcycle. Our exclusive private property access lets you ride the tracks that the others won’t take you to. 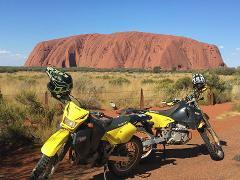 The Canning Stock Route is the last “Great Off-road Ride”. With over 1600km between towns this is as remote as adventure riding gets. Each night we camp by a well or a water hole so there is a chance to rinse the dust out of your teeth. This is an amazing motorcycle tour. 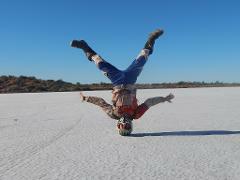 Across Australia from Ayers Rock (Uluru) to Great Barrier Reef in Airlie Beach Across half a Continent, on a motorbike. This ride is full of incredible scenery, awesome gravel roads and windy tracks.